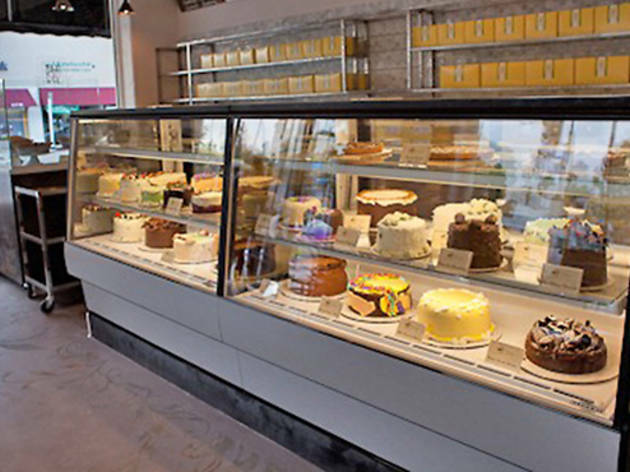 Choose from among 28 different cakes—from Almond Roca to Raspberry Lemon—for special occasions, or just unwind at a table and enjoy a slice of signature crowd-pleaser Triple Berry Shortcake with French pressed coffee. 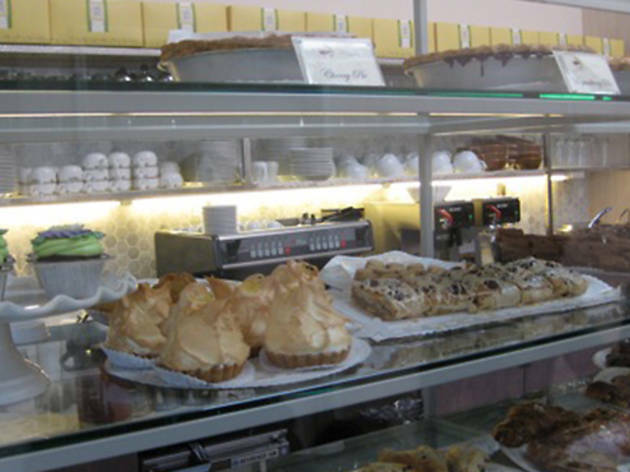 Or you could just gawk at the pastry display case of seasonal pies, cookies, cupcakes and croissants. Brunch and lunch menus also offer sandwiches, salads and non-sweet-tooth selections. On many different occasions and at several different companies, people I work with have picked up birthday cakes for colleagues from Sweet Lady Jane. Nearly every time, people around the office ask where the cake came from. Bottom line, they are really good and I've honestly never heard someone disappointed after having a few bites. They're often beautiful looking and have fresh fruit on them as well. You really won't go wrong with a cake from here for a special occasion. 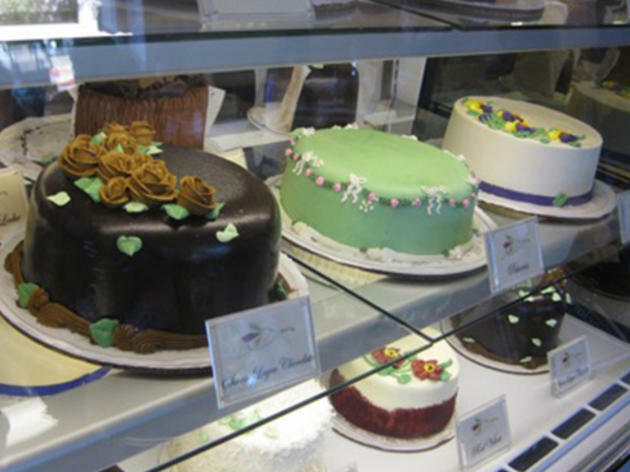 While I have enjoyed Sweet Lady Jane's cakes at numerous occasions and events, I did not know until recently that one can go in and order a slice of many options on their menu. Recently I joined a group of friends there and it was fun to order different things and taste each other's cakes and pies. The staff is very good at explaining in detail what the components are in each flavor. 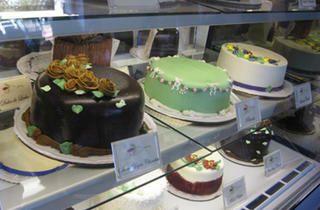 While I am usually a chocolate kind of person, many of the chocolate cakes are on the dense and drier side. Hands down the best option is the berry trifle which is soaked in a sweetened milk. It is very luscious, moist and jam packed with berries. This dessert is both beautiful and refreshing. Their Hummingbird Cake (banana and pineapple) is a 'must try' item, especially if you're into carrot cakes! 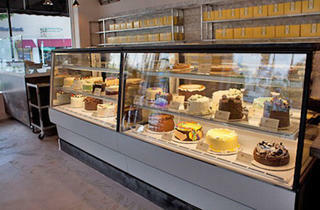 The staff is super friendly and helpful- they'll literally spend half an hour explaining what's inside of all the cakes. It's extremely easy to order cakes and pies for any occasion at Sweet Lady Jane, they are open pretty early which is ideal for pick up. 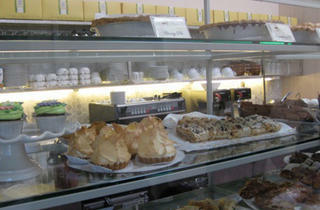 All of their cakes and pies are crowd pleasers and very delicious!